Three (3) fully backward compatible, (1394a-2000 Fully-Compliant) Bilingual 1394b, 9 pin ports at up to 800 Megabits per second (Mbits/sec), two external and one internal. 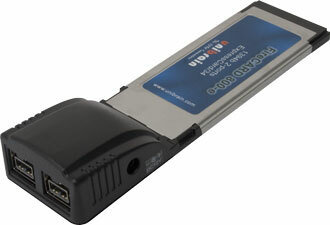 Hardware support for 8 DMA channels, which permits the concurrent transmit/receive of up to 8 isochronous data streams. 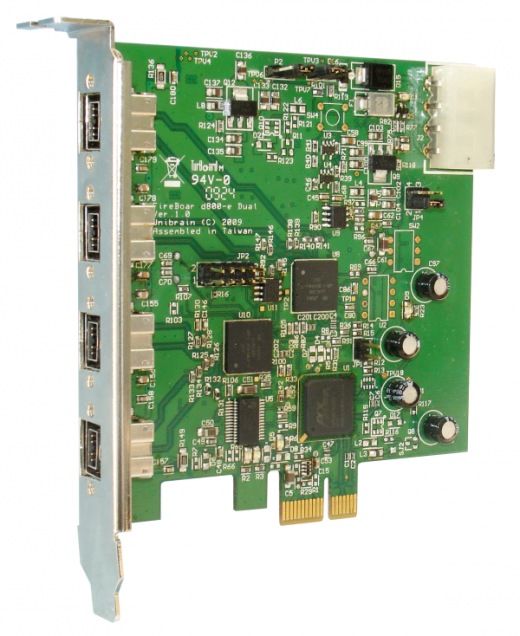 Latest generation of Avago/LSI FW643-e Rev.2 PCI-e to Firewire-800 host controller. 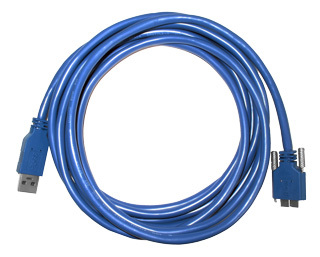 1394b screw lock cables support. 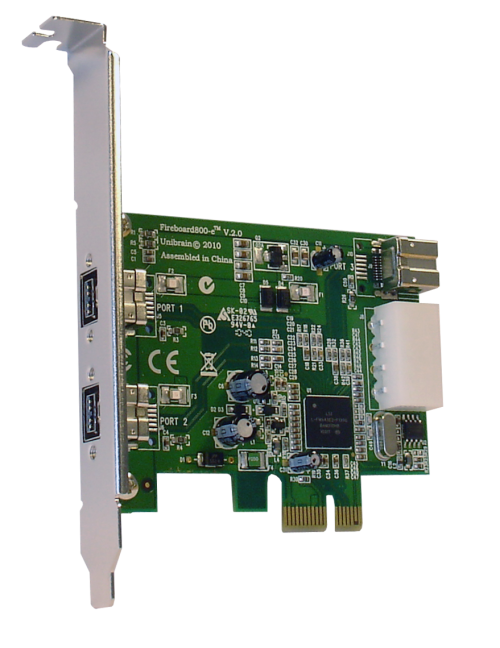 One FireBoard800-e V.2™ PCI express adapter in bulk packaging.